LOVE IT - Neutral Palette + Grid Patterns with Swell Made Co.
For this edition of LOVE IT, I'm exploring one of my favourite styles. It can be called minimalist, Scandinavian, Nordic, neutral... whatever you want to call it, it's so simple. Combining a neutral black and white palette with subtle grid patterns is so basic, yet so comforting and clean. It's pleasing to the eye and mind as everything appears to effortlessly fall into place. DO GOOD + BE KIND (11x14) by Swell Made Co. These black + white, minimal art prints are a perfect reminder in any room that doing good and being kind never go out of style. They're also a perfect complement to grid patterns. Baggu Zip Bag in grid from Otherware. A grid pattern to take on the go! This versatile and durable bag from Baggu features the perfect grid pattern to make a statement. Wire Basket from Bloomingville. Grids can take many forms. 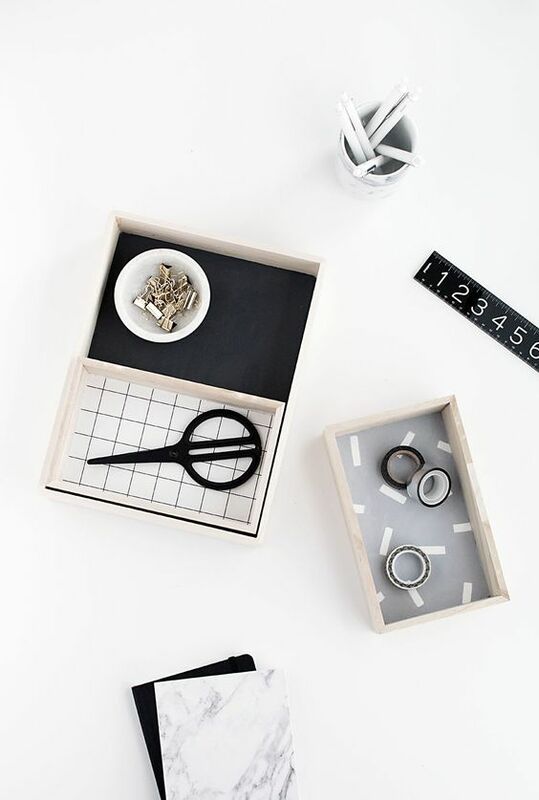 This wire basket features a grid pattern that's perfect for storing goods. You can also purchase a wood top to make it a table. Carina Ceramic Jar by Bloomingville. Store items in these adorable jars. Also available as canisters with wood tops. How Sweet It Is Velveteen Throw Pillow by Swell Made Co. Black and white type to make your spaces inviting and cozy. This pillow is ultra soft and durable to live in your spaces. Bedrooms, nurseries or living rooms - they could all use a pillow like this. Grid Tea Towel by Anchal Project. An adorable addition to your kitchen. Hand-stitched from 1 layer of cotton, this towel features geometric stitches. Every purchase provides an artisan with a full-time job, health care benefits, design training, and educational workshops. Quilts and throw pillows are also offered in this simple grid pattern. I hope you love these pieces as much as I do. Want more inspiration? Follow Swell Made Co. on Pinterest to see more. Here are a few of my favourites (click the images to see sources). There are loads of ways to bring grids into your spaces with a little DIY. My favourite decor items include textiles such as bedding and curtains. Subtle hints of gold and pink work perfectly with a neutral minimalist palette, but it's so versatile you could come up with many combinations of colours, patterns and textures to complement this look. You could even combine this subtle look with elements of these styles we've posted about in the past - Bohemian Style + Moroccan Style.